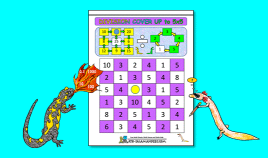 Welcome to the Math Salamanders Free Kids Math Games. Using Math games is a great way to develop math concepts and practice basic math facts. Here you will find a wide range of free printable Math Games, which will help your child become more confident with their mental arithmetic skills and also develop their strategic thinking at the same time. Here you will find links to all of our Math Games pages. The games have been indexed by topic, and also by grade to help you find what you are looking for. Here you will find our range of free printable Number games. All the free kids Maths games in this section are based around using the four operations, and developing children's sense and understanding of number. Playing games is a great way to learn your Math facts in a fun way. Here you will find a range of Free Printable Division Games to help kids learn their division facts. Using these games will help your child to learn their division facts, and also to develop their memory and strategic thinking skills. Here is our collection of Math games indexed by age from kindergarten to 5th Grade. Using games is a great way to learn your Money facts. These games are all designed to support children's learning and understanding of money. These games are suitable for children aged First Grade and upwards. They will help develop reasoning, thinking and memory as well as helping children to learn how to count money. Both US and UK coins are supported. If you are looking for a fun printable algebra game to play then try out our algebra game page. You will find a range of algebra games that make learning algebra fun and non-threatening. The only equipment you need is a scientific calculator, some dice, and a few counters!